The 12th Philippine Grand Barista Cup and the 5th Latte Art Throwdown is underway and we can’t wait to see how creative Filipino baristas are and how capable they are to compete with the world. The competition will take place at the Asia Food Expo (AFEX) in the World Trade Center, Pasay, Metro Manila. 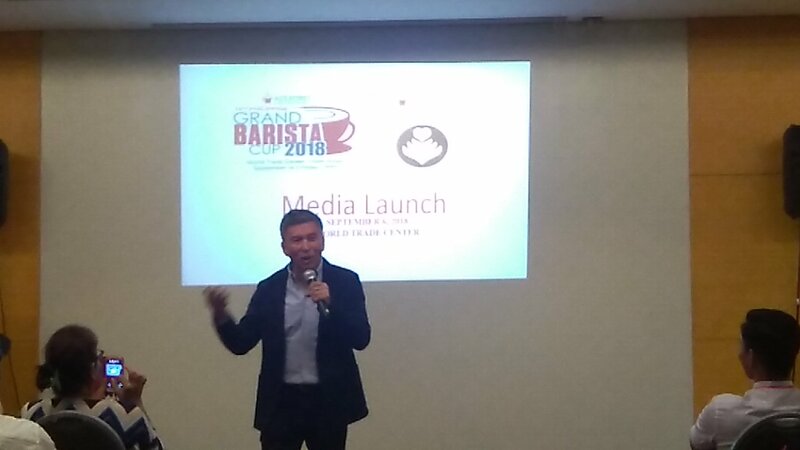 The competition aims (1) to promote the excellence and recognition of the barista profession, (2) to increase the appreciation for specialty coffee especially Philippine Arabica beans, and (3) to raise the bar for Filipino baristas competing in world championships. The Philippines’ highest rank so far in the competition is at 13th place out of 60 countries at the World Barista Championships. And we’re smelling that every year the Filipino baristas are getting better at what they do, and the world is slowly recognizing our very own Arabica beans. Leo De Leon, President of Allegro Beverage, led the sponsors night on September 9, 2018, to officially introduce the competition to the public. He is also pleased to announce that the Grand Winner of each event will receive a Championship trophy, a Barista Kit worth Php 15,000, free overnight hotel stay at the prestigious Midas Hotel & Casino, Allegro gift bags from their valued sponsors, and a Franke fully automatic espresso and cappuccino machine worth Php 100,000! The competition has been running for 12 years and barista finalists have evolved along with it including the technical and creative skills with regards to service presentation, creativity, and passion for coffee. In fact, most of the Philippine Grand Barista Cup winners have relocated overseas since experienced Filipino baristas are highly on demand in cruise ships, hotels, casinos, restaurants, and coffee shops. What’s more surprising is natural born Filipinos are sometimes being sent by other countries to represent their flag on the competition. 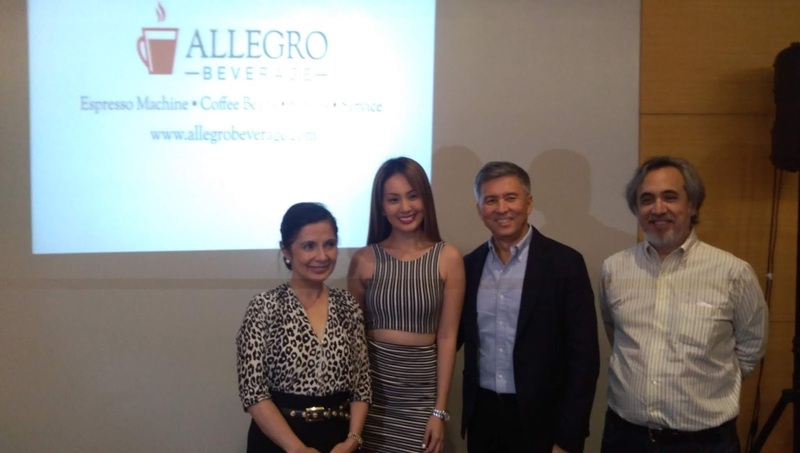 For the 5th Latte Art Throwdown, Allegro already has short-listed the potential participants. This article will be updated once the final list of participants is announced. This year’s panel of judges is extraordinary, composed of both local and international. International judges include the Italian Barista Champion at the Coffee In Good Spirits 2017 Marco Poidomani, the international Export Manager of Southern Italy’s leading coffee bean Caffe Moak Frances Neri, the Export Sales for South East Asia, Central Asia, and Russia forCrem Internation, a Sweden national, and a very tall guy Fabian Fredriksson, The Singaporean and Brand Ambassador of 1883 Maison ROUTIN France Syrups Tristan Destura, and the Franke Coffee System Asia Sales Director Fernando Menendez of Spain. The local judges are some of the country’s most prominent and respected coffee and barista experts including as the man with many titles Ernie Mesina who is an Espresso Chef and Master Barista, Coffee Concepts Specialist, and Food and Beverage Operations Training Consultant. He will be joined by the 2018 Philippine National Latte Art Champion Joe Marie Lichangco, the Service Manager of Allegro Beverage Corporation and has been a technical judge of PGBC for 5 years Sherwin Halasan, and the 1t runner-up of the 2017 PNLA and now the Head Barista at Toby’s Estate Coffee Roasters Philippines John Richard del Rosario. Allegro Beverage Corporation would like to recognize their valued sponsors and major partners for this two-day event namely EXPOBAR (Official Espresso Machine from Spain), MOAK Special Bar (Official Coffee Bean from Italy), Routin 1883 and Fruiss (Official Gourmet Syrups from France), Nouva Simonelli (Official Espresso Coffee Bean Grinder from Italy), and Franke fully automatic machines from Switzerland. Golden sponsors of PGBC are MILKLAB exclusively distributed by Grand Nourriture, Malongo Atelier Barista Philippines, UCC Coffee, UCC Academy, Blizzard Ref Sales Corporation and Far Eastern University.